Heels are sometimes boring and the discomfort can not be overlooked. Sneakers styles has evolved and there are different styles and a wide range of statement sneakers you can pick from. I am a sneakers lover due to how simple and comfortable some of them are. From the Balenciaga sneakers trendsetter, to brands likes Gucci, Zara, Jessicabuurman and lots more. Top design houses making their own sneakers which has made fashion even more versatile and suitable for everyone. Models are rocking sneakers off and on the runways. 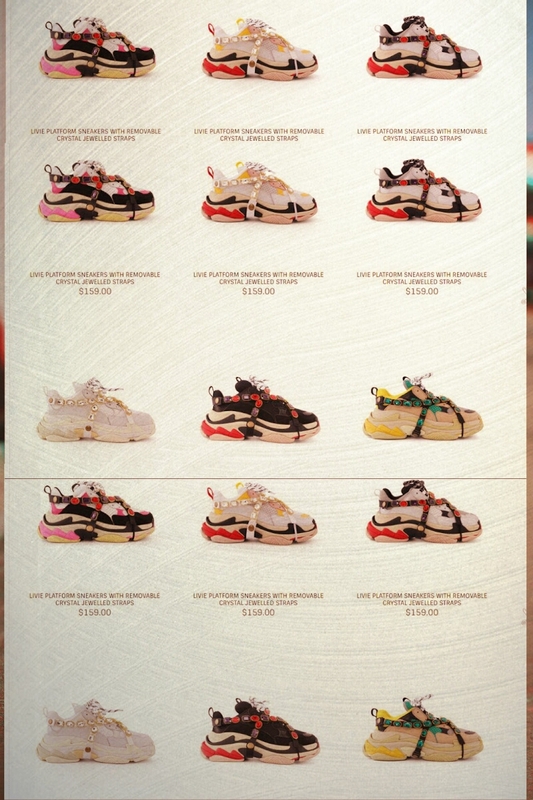 The sneakers trend is one of the hottest in the fashion industry. Jessicabuuman offers street style shoes, bags and clothing's at a reasonable price and quality. Here are the 5 Flashtrek sneakers style with studs to purchase from Jessicabuurman. Why add the sparkling crystals strap? Sparkling crystals are embroidered onto a removable elastic strap, wrapping around the sneakers and resulting in a kaleidoscope effect. This makes your sneakers less boring. You might want to change the look or add a bit of luxury and dress up to a 90's or 80's style, then the sparkling crystal strap is a good addition. Do you prefer heels to sneakers or is it about your mood and what you are wearing at that moment? let me know in the comment box below. 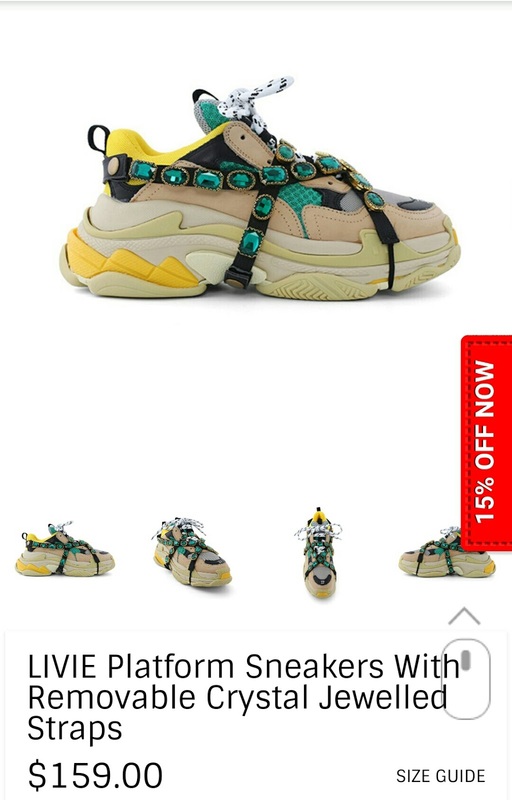 Looks like Gucci :O Green + yellow ones are pretty! Yes, its a a look alike and style mix. Now that's the way to elevate your sneaker look. I love it! Those look super cute! What a fun way to add a little sparkle to a casual shoe. 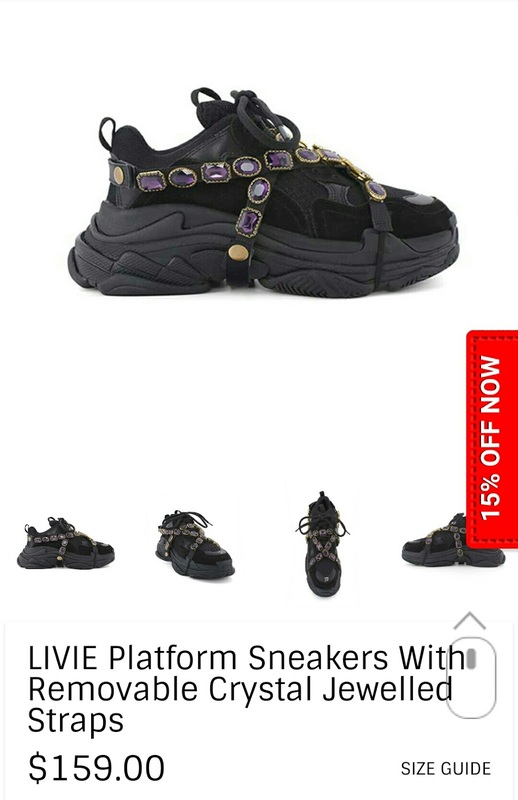 I've seen people wearing these types of shoes! Not sure I could pull it off, but I love the ones you picked! Very interesting indeed. Do you know if they are bulky and heavy? Actually, they are not bulky and heavy. It feels just the same way as when you wear a normal sneakers, but more stylish. I think you can pull it off. These are so interesting! I love fun sneaker styles. I wear sneakers a lot when I want to be comfy. I also like wearing sneakers too. What a cool way to dress sneakers up! Thanks for sharing. 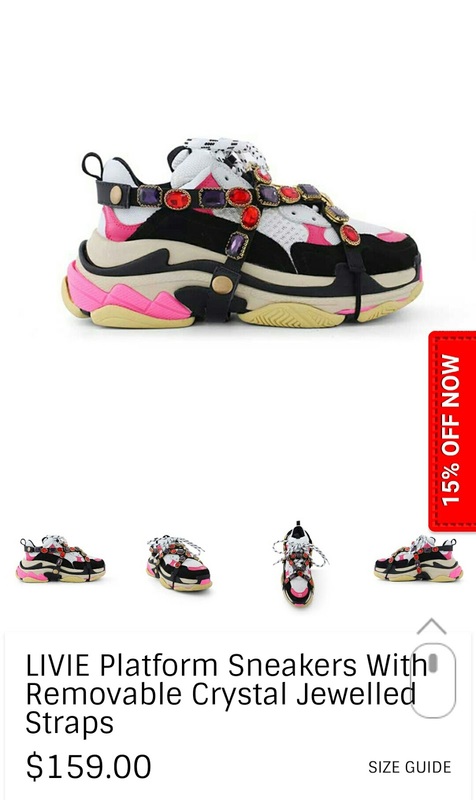 These sneakers are unique for sure! Hope you're having a great Thursday!! They are. You too dear. 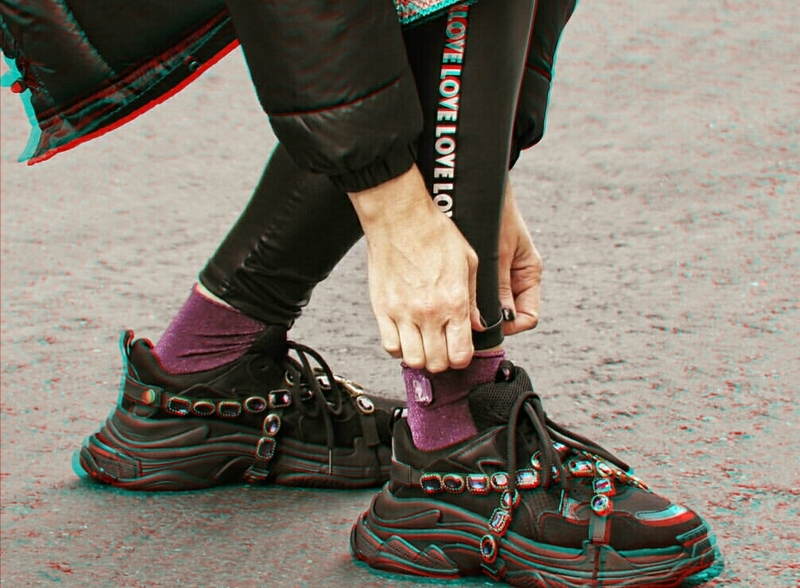 Chunky sneakers are the hottest trend for 2018 and will be even hotter in 2019. I personally love sneakers and sports style. Those flashtrek one's are too fab Melody! You are so right Dessy, hoping to see more stylish ones. Love the crystal straps! What a great way to glam up your sneakers! 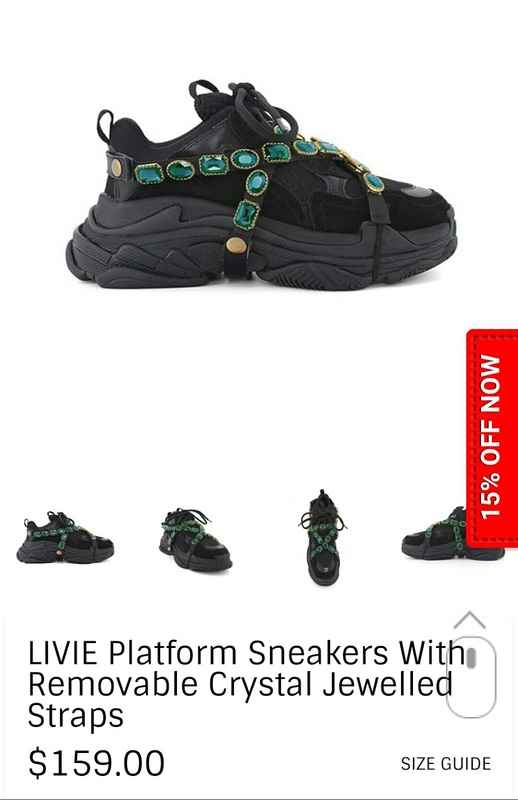 Makes the sneakers more interesting. These looks fun! Certainly a cool way to spice up your sneakers. beautiful sneaker, and its suits you. 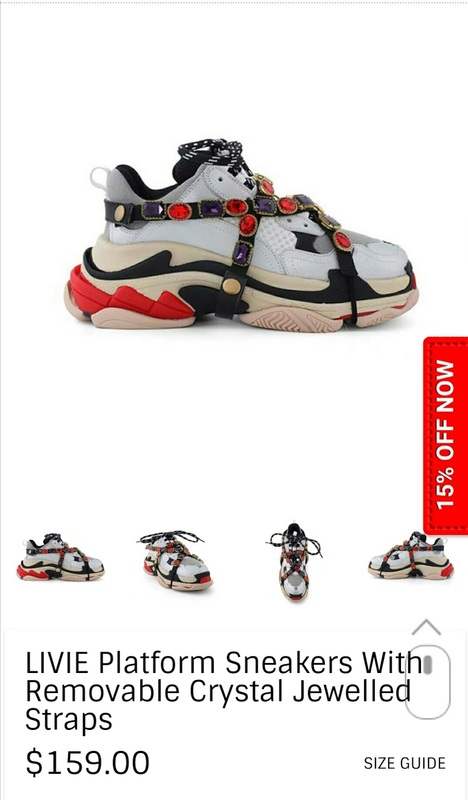 Hope you had great walking with this stylish sneaker. These shoes are one of a kind without a doubt!